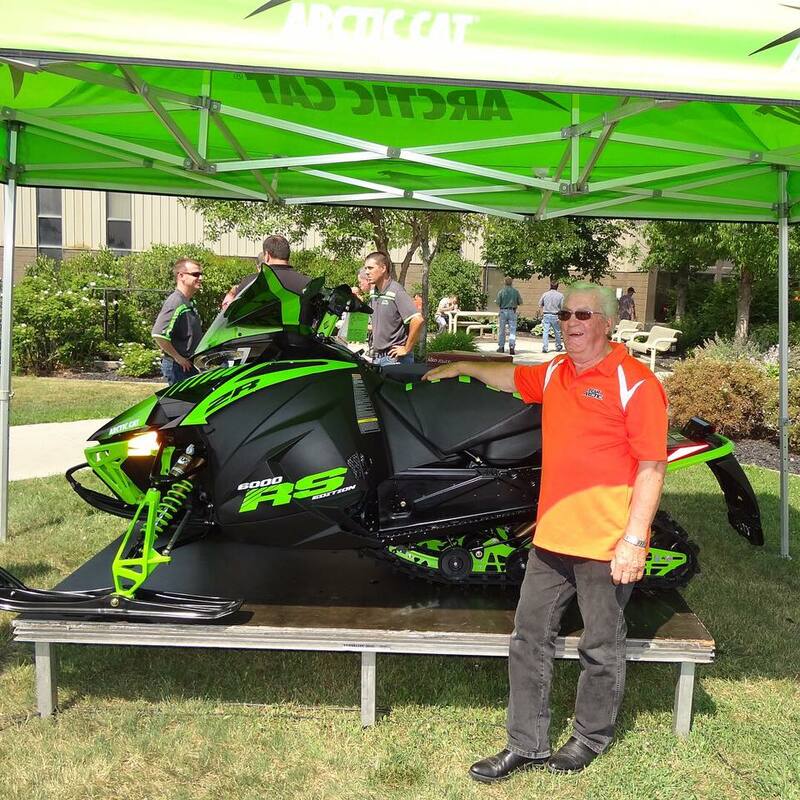 Last week, Arctic Cat legend Roger Skime was presented a very special gift on behalf of everyone at Arctic Cat: a 2017 Arctic Cat ZR 6000 RS (Roger Skime). The ceremony took place at Arctic Cat in Thief River Falls, Minn., during a pause in the day where all employees came outside and paid their respects to the man who was so instrumental in the existence of the brand. Only a couple hundred of these special snowmobiles were built prior to last season, in honor of the man himself. It's fitting and cool that Roger now has the very first one. Know Roger, it will take everything in his power NOT to ride the sled, because Roger wants to ride every sled. Really. But I have a feeling that this machine will remain unridden, which is ironic when you think about it. Congratulations to Roger and the Skime family. Likewise, congrats to the other lucky few who own RS Edition models. Click to see the full-sized photos. Product Spotlight: 2-Up Seat Kit (Have Cake & Eat it Too). I've experienced the parental years of going snowmobiling with kids who are either too young to ride on their own or (in the case of my daughter), not interested in riding by herself. 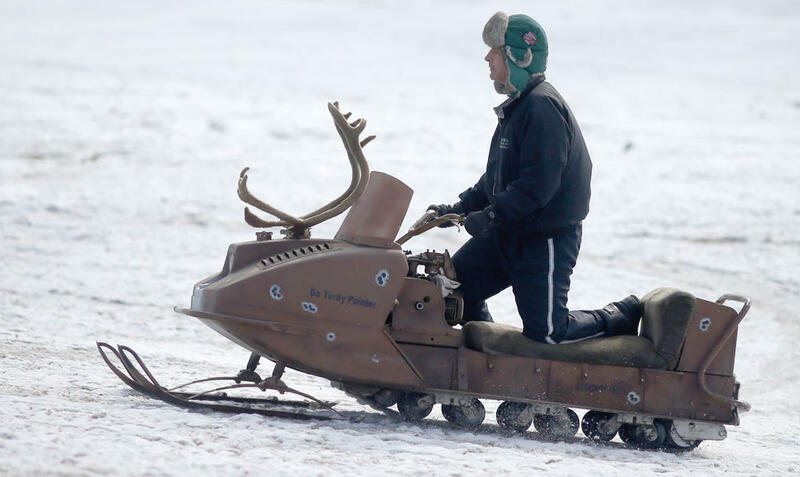 Some families opt for dedicated 2-up riding sleds, such as the various Pantera models. Other families opt to "tough it out" using their regular, one-up machines. 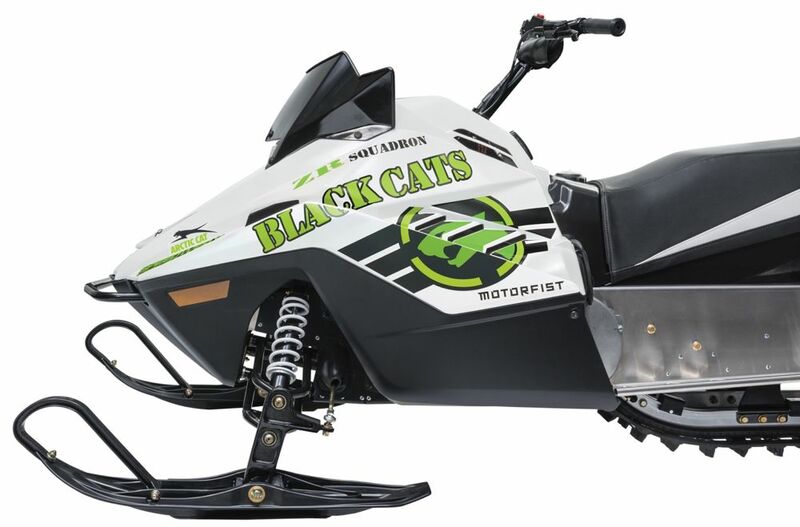 These days there's a much more elegant solution for most recent-model Arctic Cats that doesn't require a dedicated 2-up machine, in the form of a 2-up Seat Kit. Click to read a few virtues and details. Interested in spending a few hours hanging out with Tucker Hibbert and a pile of like-minded people, all the while raising money for Make-A-Wish Minnesota? Join the gang on Aug. 5, 2017, at Minnehaha Park in Minneapolis. 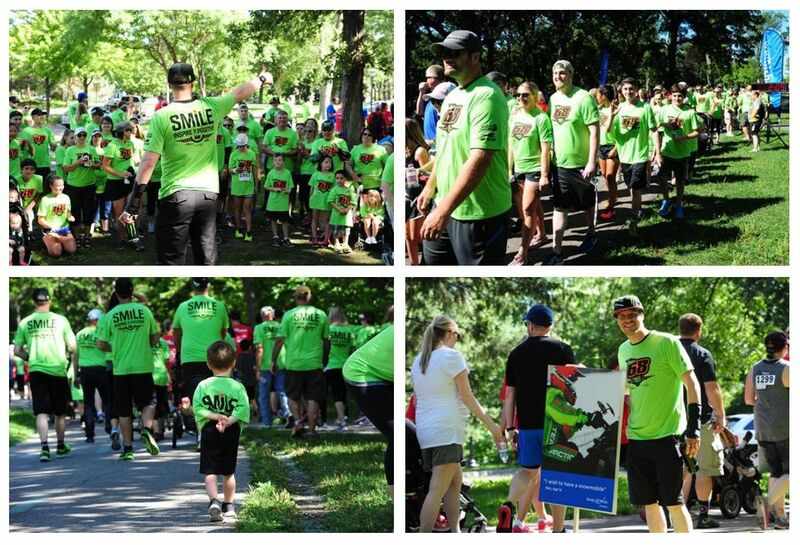 Just like last year, a donation of $20 or more confirms your spot on Team 68 and reserves your limited edition t-shirt. Every dollar raised by the team will go directly to Make-A-Wish Minnesota. The crew raised more than $10,000 last year...holy awesomeness! To join Team 68, CLICK HERE and click the blue “JOIN TEAM” button. If you’re unable to attend the event, you can still join the team (and your Team 68 shirt gets mailed to you). Summer... graduations, weddings and Sunday evening trips for ice cream. Oh, summer is also a good time to think about snowmobiling. So let's all eat cake and celebrate the ride. 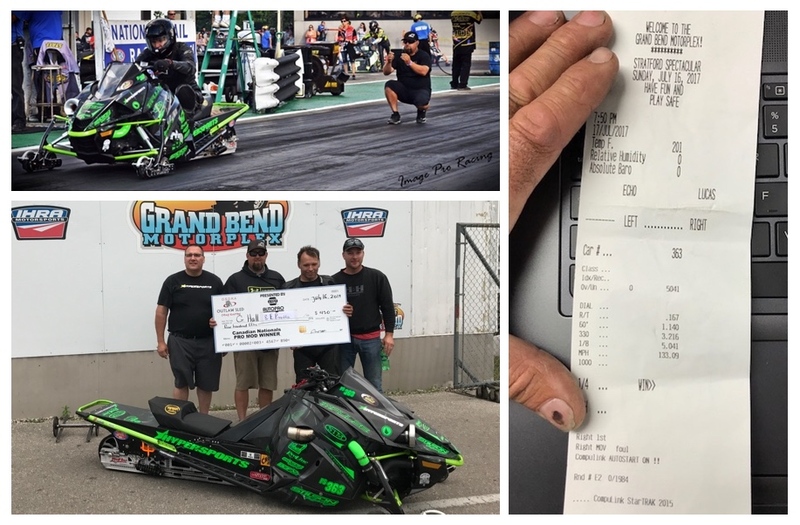 Glenn and the team delivered this outstanding result this past weekend at the Grand Bend Motorplex in Grand Bend, Ontario. it's a reflection of the team's expertise as well as the incredible power-to-weight advantage of an Arctic Cat Turbo. Congrats to the Stilson Racing/Hypersports team! The mother ship is strong, stable and profitable. Textron Inc. today reported second quarter 2017 income from continuing operations of $0.57 per share or $0.60 per share of adjusted income from continuing operations, compared to $0.66 per share in the second quarter of 2016. During this year’s second quarter, the company recorded $13 million of pre-tax special charges ($0.03 per share, after-tax). Revenues in the quarter were $3.6 billion, up 2.6 percent from the second quarter of 2016. Textron segment profit in the quarter was $295 million, down $33 million from the second quarter of 2016. It's mid-July, which means the lakes are just starting to thaw in northern Minnesota. Time to swap the heavily insulated Arcticwear gear with something a little more summer-like. Arcticwear has some new utility jackets for the 2018 season that might be exactly what you're looking for now and in future months. Click to check 'em out. 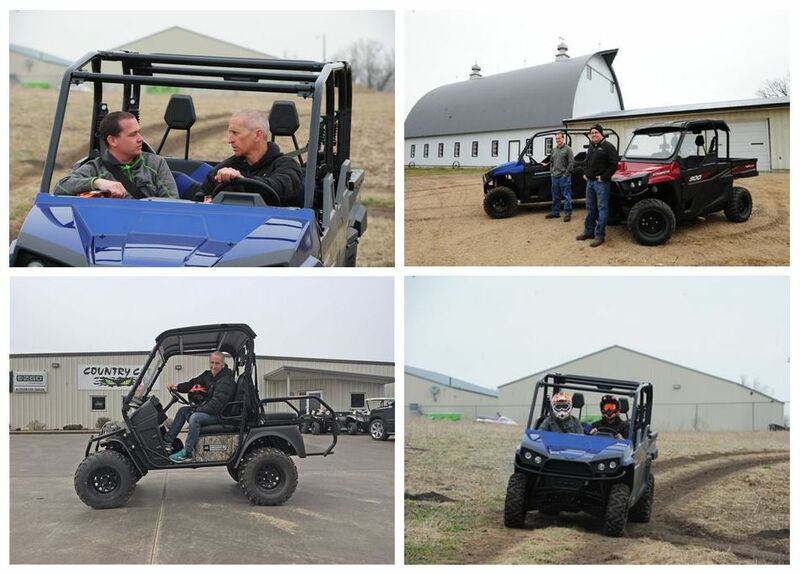 If first impressions are truly meaningful, then the hour-or-so test drive I had on a couple Stampede side-by-side models (as well as a Recoil iS electric vehicle) are a good omen for the future of Arctic Cat dealers and riders. The ride took place this spring at Country Cat, who has been a Stampede dealer for the last year. Far from being a definitive test, this was more of an introductory session with a couple machines. Not comprehensive, rather, an introduction of sorts. Click to read a few observations. I'm thankful that vintage snowmobilers are so dang horny. I'm thankful the buck stops here. I'm thankful for Bambi, Bullwinkle and Rudolph. 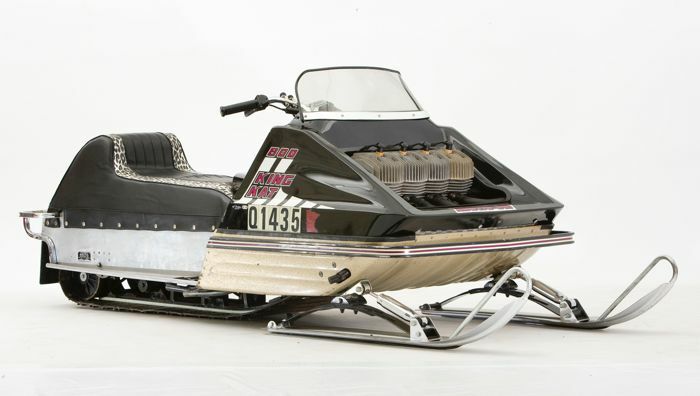 The 1971 Arctic Cat King Kat 800...one of the original musclesleds! Powered by the 800 Kawasaki four-banger, this and the 800 3-cylinder Hirth version were the biggest and gnarliest Arctic Cats of that year, and that era. Only 124 of these babies were produced. 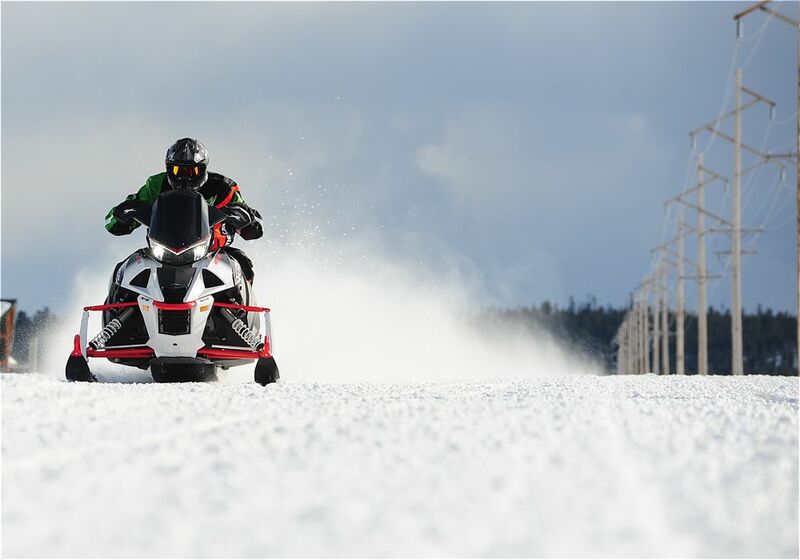 They are among the most sought-after snowmobiles to this day. This King Kat is owned by the Ische family of Glencoe, Minn., who allowed my to photograph it for the 50th Anniversary of Arctic Cat book that we produced in 2011. To this day, and to my eyes, there is nothing that screams "BADASS!" on a snowmobile with quite the same authority as four cylinders sticking out of a hood. It's going to be fun seeing owners customize the new ZR 200 youth snowmobile, whether it's for little Johnny/Jilly or for their adult selves. 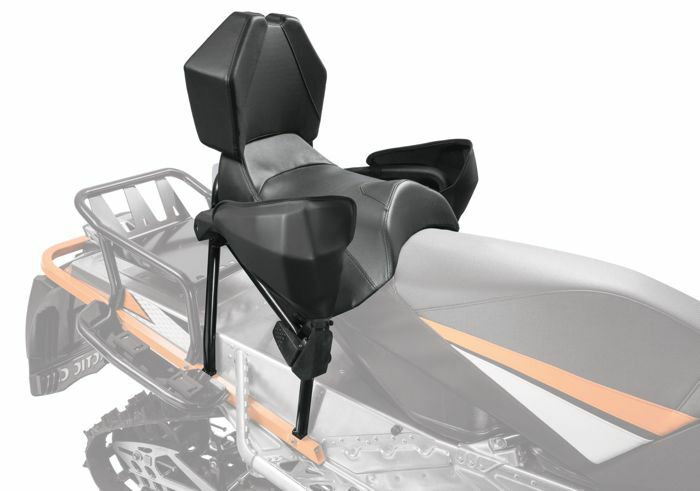 Arctic Cat is first out of the gate with a host of new gear that covers the spectrum from style to comfort and control. Make the jump to see some of what's available. First Snowmobile Front Flip My @$$! A lot of hype has been made this week on the ol' socialable medias about the supposedly first-ever front flip on a snowmobile at the recent Nitro Circus show in San Diego. It's NOT the first front flip. For starters, Heath Frisby did it at the X Games in 2012. And I have personally done a snowmobile front flip at least 20 times in my career. A couple were even multiple-flips. 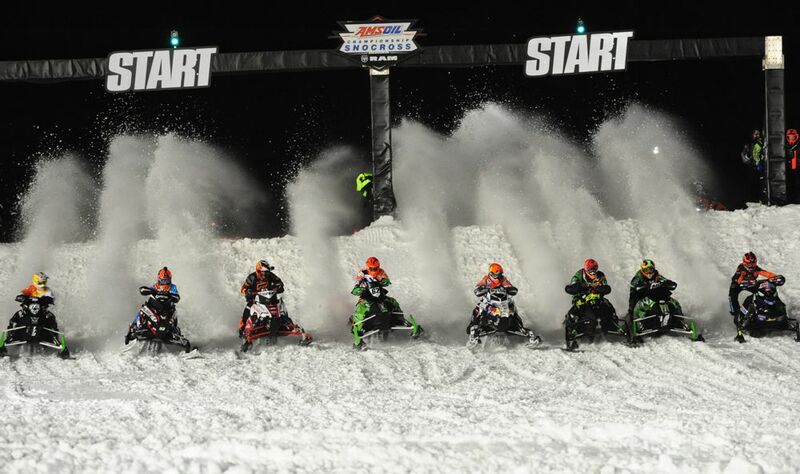 Most of them occurred during various snowmobile races, usually in a whooped-out section of ditch. Granted, each one was unintentional; probably more of a somersault/cartwheel; and a complete surprise, but that shouldn't matter when the history books are being written. While there is no video documentation of my flips (too bad, because I guarantee they're more entertaining than the recent Nitro Circus maneuver), I still have some shredded windshield plastic and twisted handlebars to prove it. Gotta give the Nitro gang credit though, they're smart enough to charge money for this stuff. Hey Jughead (Snowmobiling is Comical)! Once upon a time, there was a generation of youth who read comic books. There were all sorts of comic books, from Marvel super-hero stuff to satirical MAD magazine to car-culture stuff like CARtoons. And pretty much everything in between. This generation of youth read (and sometimes purchased) these comics at drug stores, convenience stores, grocery stores, bookstores and even comics stores. If you were a snowmobiler WAY back then, your heart absolutely RACED on those rare occasions when a comic book featured your favorite sport. It was kind of like hitting the jackpot. Funny now, looking back on a few examples of these comics from the early 1970s. 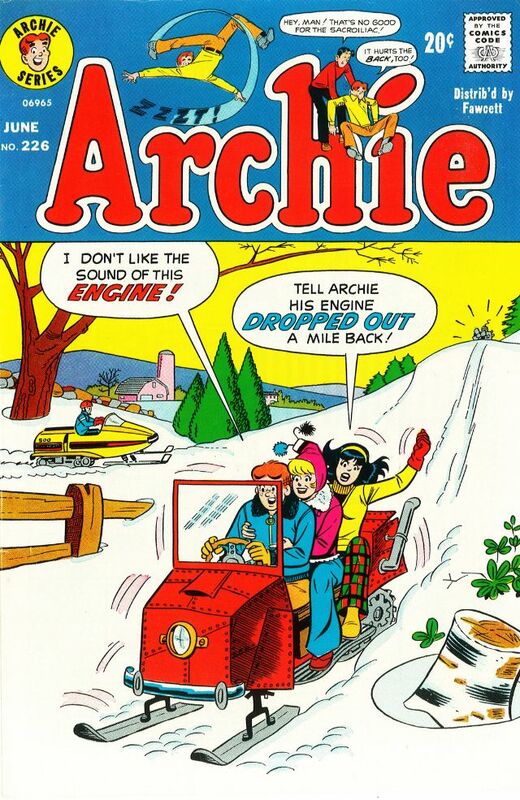 The writers surely identified the subtle nuance of what the snowmobile experience was like back then: that sleds were often a bit unreliable. I love that in our modern age, we can make a few clicks to watch video or see images of every single aspect of snowmobiling that exists today. Snowmobiling is literally at our fingertips. We're damn lucky. But there's a part of me that appreciates (and wishes for) the simplicity of yesteryear. Of Archie, Dennis the Menace, Scooby Doo and snowmobiles that were tough to keep running a whole day. Click to see a few more comics. Roger Skime turns 74 years old today. 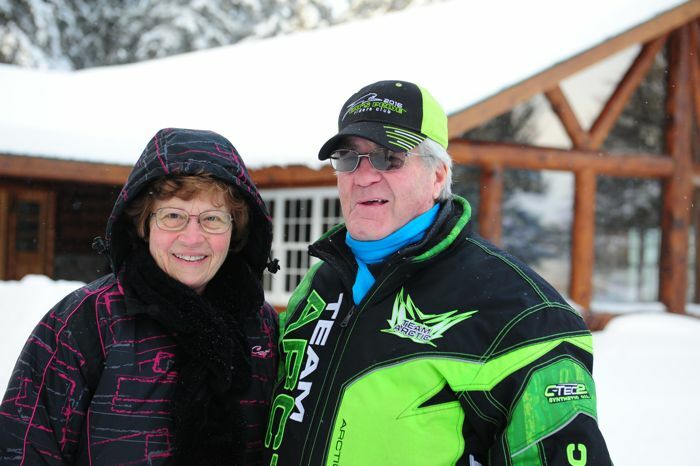 To celebrate this day and the immeasurable impact Roger has had on the world, snowmobiling, Arctic Cat and so many individuals, I'd like to share a story written about him a few years ago by his granddaughter Kylie Lehrer. It's an awesome story that truly captures Roger's essence. Thanks to Kylie for sharing this remarkable insight into the man who's made so many meaningful and impactful tracks. Click to read read more. First, the good news: In just two weeks the daylight hours will start getting shorter. Now the great news: You can maximize your summer fun, hang out at the lake AND get some great snowmobile action. 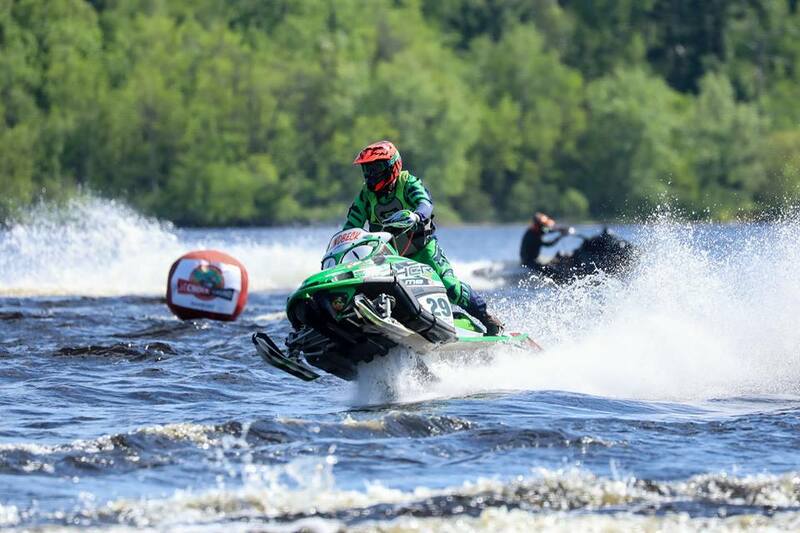 Simply hit up one of the IWA watercross races this summer. If you do, there's a great chance you'll see Team Arctic's Duracell bunny Dale Lindbeck continue his decades-long win streak continue. In fact, he's already scored a win this season! I've been covering watercross races since the mid-1940s, and Lindbeck was been winning at least that long. Pretty dang impressive! Click for the IWA schedule. 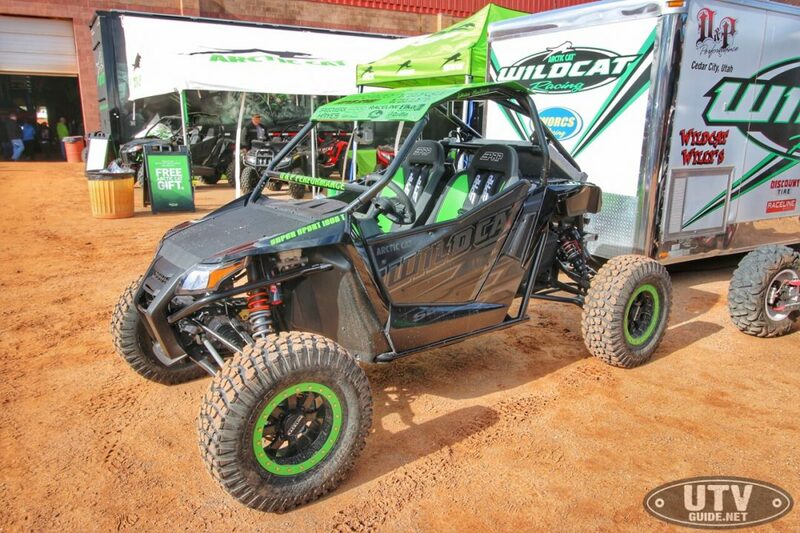 Dean Bulloch and the crew from D&P Performance in Cedar City, Utah, built this one-of-a-kind Wildcat "Super" Sport to tackle monster rock crawling events like the King of the Hammers competition. Custom double A-arm front and rear suspensions...a turbo-charged Yamaha 998cc triple engine with CVT drivetrain...yep, this baby is built for some fun. 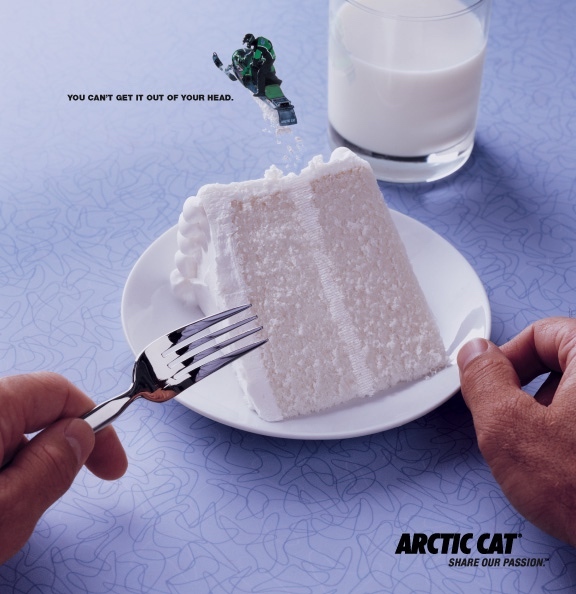 A new, modern Arctic Cat Thundercat returned to the frozen battlefields of speed this past winter. It had some mighty deep tracks to follow to earn the name "Thundercat," as the original is still legendary among those who experience it. It also had the challenge of overcoming the outstanding performance the previous 9000-Series machines that had been powered by the Suzuki twin turbo. I'm gathering info for a story that will appear later this summer about where exactly the new T-Cat landed compared to its predecessors, both in stock and mod form. For now, I'll leave you with a few pix that visually capture this Kitty's thunder. Flashback. Feb. 22, 2012. Island Park, Idaho. Near Arctic Cat's mountain test facility. (L-to-R): Todd Tupper, Rob Kincaid, Al Shimpa and David McClure. Each is a key member of Team Arctic's hillclimb race program. Tupper is the racer/engineer. Controversy?!? Right now there's plenty of it when it comes to the new rule for Pro Open snocross sleds for 2017. 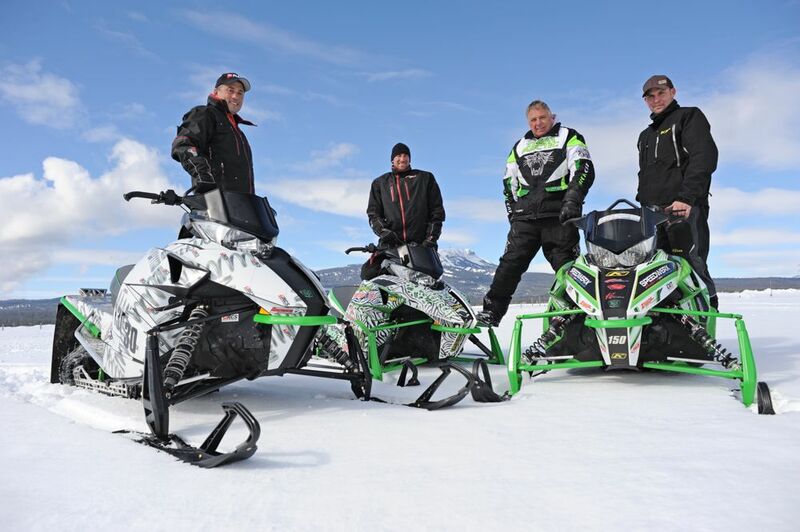 Ken Avann, president of the Canadian Snowcross Racing Association (CSRA) was one of the principal architects of the new stock-sled-based rule change. Click for Ken’s perspective on the new rule and what it will accomplish. The vision of a beautiful new building that displays historic snowmobiles and memorabilia is almost ready to happen at the Snowmobile Hall of Fame in St. Germain, Wis. With the Classic Sled Roundup weekend festivities happening this coming weekend, the SHOF hopes to bridge the final gap to its building fundraising goal in hopes of hosting a groundbreaking ceremony on Saturday, May 27. Click to read more about helping the SHOF this week with any size donation.